You are invited to Tür Say! event to be held on June 22 at METU campus! Offering a great opportunity to get to know the nature, Tür Say! event is open to participants of all ages. Tür Say! is a biodiversity detection activity where all the living creatures that live in a defined area for a certain period of time are recorded. Tür Say! 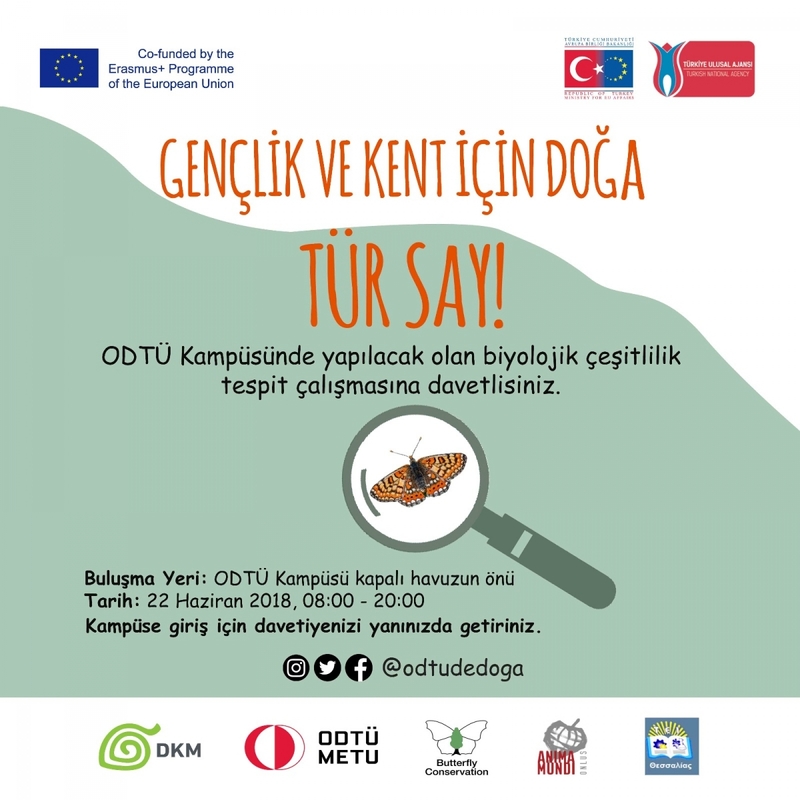 will take place at METU campus with specialized teams and volunteer nature trainers. This activity will be performed under the Erasmus + "Nature for Youth and City" project conducted in cooperation with Nature Conservation Center, METU, Butterfly Conservation (UK), Anima Mundi (IT), and Technological Educational Institute of Thessaly (GR) and committed to strengthening young people by providing them with the required knowledge and skills on sustainability and nature conservation.